Top left photo by Jesse Rubin. Top right photo by Columbia University SJP. Bottom left photo by National Students for Justice in Palestine. Bottom right photo by Lawville Solutions. Read the full 2018 report online here. One city councilmember falsely accused students of engaging in terrorist plots. The entire council called on the university to censor the conference. A Zionist group physically assaulted students, while chanting anti-Arab, anti-Muslim taunts. A congressman wrote to the university falsely accusing students of antisemitism and demanding the conference be cancelled. The university sent students a legal threat letter claiming that kites are a symbol of violence and demanding that they alter their logo. An Israeli government-sponsored app directed people to complain of an unsafe environment on campus. Despite the international pressure campaign, National Students for Justice in Palestine (NSJP) held their largest gathering ever. Palestine Legal responded to 289 incidents of suppression of US-based Palestine advocacy in 2018. Over five years, from January 1, 2014 through December 31, 2018, Palestine Legal responded to a total of 1,247 incidents of suppression targeting speech supportive of Palestinian rights. In 2018, the volume of incidents reported to Palestine Legal remained steady, even as the severity of the incidents has increased. The level of involvement by government officials and agencies in the suppression grew significantly, as Trump appointees implemented an anti-Palestinian agenda, as legislatures targeted Palestinian rights advocacy, and as law enforcement investigated activists. A total of 26 states now have laws on the books intended to discourage advocacy for Palestinian rights. 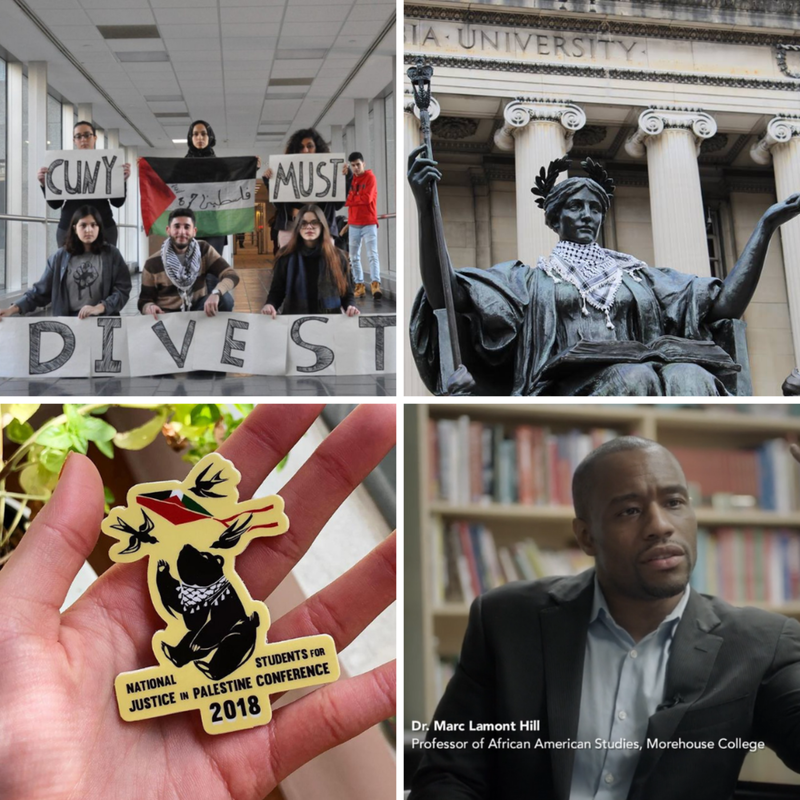 New lawsuits against people who take a public stand for Palestinian rights and the continued harassment of students and scholars intensified the chilling effects of suppression we documented in 2018.